Thanks to your support, the Countywide movement to combat and prevent homelessness has made real progress in helping to move families and individuals from homelessness to housing. But it will take all of us to stem the tide of this crisis in our communities. You can help transform the lives of our homeless neighbors as a volunteer. Nonprofit homeless service providers across the County have meaningful opportunities to get involved – both one-time events and ongoing options. If you’re motivated to be a voice, an advocate in your community, start here and join Everyone In – a dynamic Countywide campaign to fight homelessness led by United Way of Greater Los Angeles. 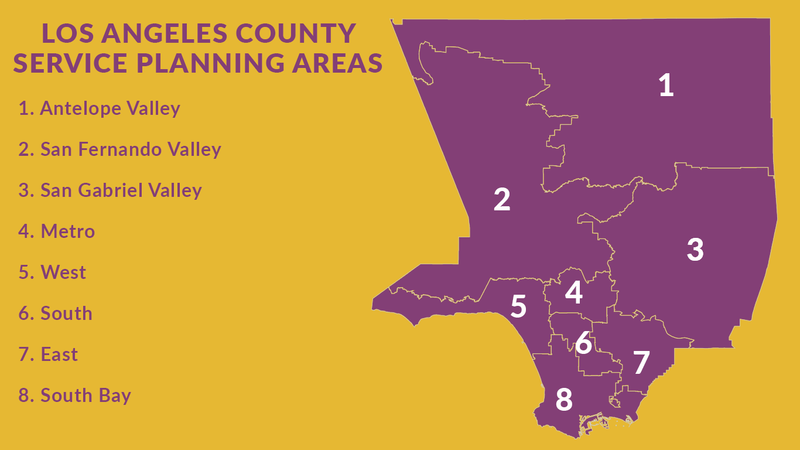 Volunteer opportunities are available all over Los Angeles County and are categorized by region. Click on a link below to explore how to get involved and check back for updates.